Kenia is a libra and is the youngest of four girls! She loves to socialize, thrift and is extremely passionate about social justice which is why she is majoring in Ethnic Studies. Kenia attended Fullerton College in Orange County. She transferred to Berkeley, Spring 2018. Kenia is a Peer Advocate at the Transfer Center. Outside of the center, she can regularly be found at events hosted by the MCC and GenEq. 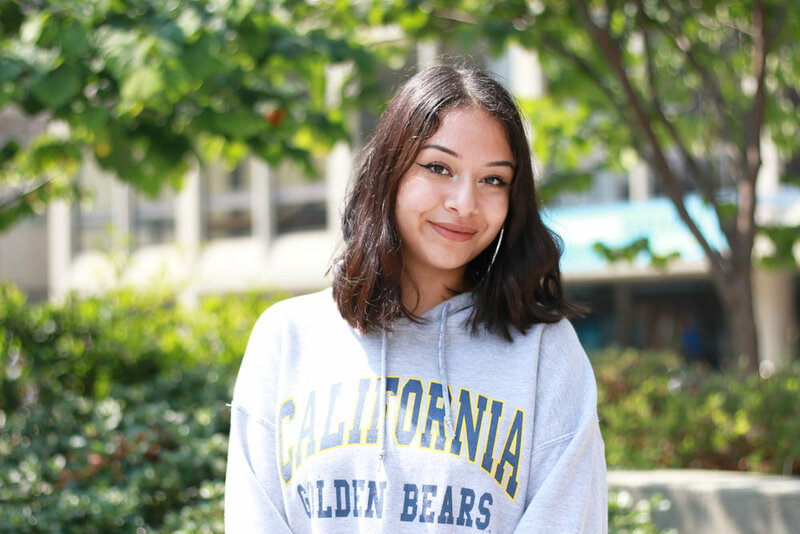 Kenia plans to become an academic counselor for underserved, communities of color. Kenia loves talking about makeup, vegan food, music festivals and astrology. Ask how to wing your eyeliner or how to put yourself out there to build/find your community during your time here at Cal!